Home office is a common feature in the house. It can be skipped if there's lack of space and nobody needs it but what to do when the working space is needed and the home has little space? Here are some solutions. 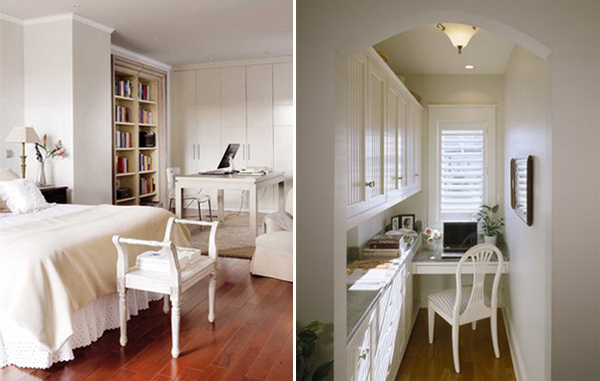 Even the small-spaced homes can have decent home office areas that are both compact and efficient. To create a working space within the small home you just need a compact desk that has storage features and a comfy chair. Creating such space within the bedroom, living room, or kitchen is quite possible. A home office doesn’t have to be spacious to be efficient. 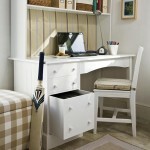 A compact desk with some storage space may suffice. It can be located in the corner of the living room or bedroom. It can be hidden under the staircase or in a closet. Built-in furniture can both create a small home office and save space. There are desks that come with the built-in shelves that can be used for file storage. The desk itself should be convenient and can be placed in any room. The drawers and shelves of the desk will help keep the papers in order and away from kitchen or dinner tables. Closet is a great way of hiding away the working space when not in use. 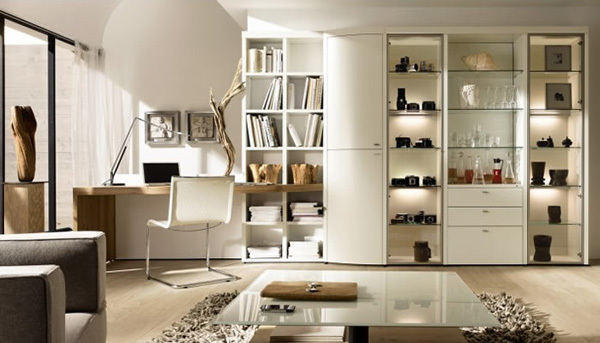 A closet with a couple of wide shelves can easily become a small home office. The lowest shelf is usually used as a desk while the rest of them are used for storage. It’s also a great way of keeping your work space to one designated place. If you don’t have a closet a room divider can provide some space and privacy while you’re at work in your home office. Curtains and screens can be used to demarcate the area between the main room and the working space.